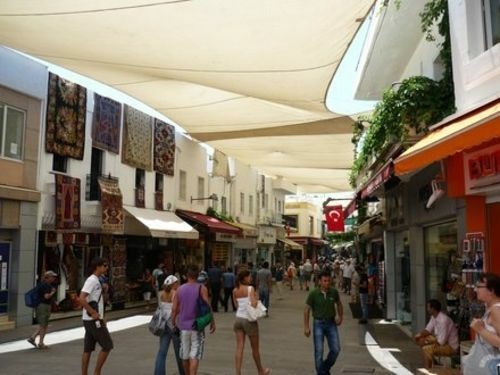 Out of all our favourite things to do in Turkey, shopping in Bodrum is near the top of our list. The diversity and choice of the town centre and smaller coastal resorts ensures we will find anything we want. Shops on the Bodrum peninsula, sell everything from cheap and tacky to expensive and sophisticated. Browse through small individual boutiques, head to brand name stores, or buy from the simple one-man trader on the weekly market. We know where to go for the bargains if we are strapped for cash, but likewise, have our favourite shops for overindulging. Whereas shopping in Istanbul often turns into a hectic experience because of the masses of crowds and fast-paced atmosphere, Bodrum offers pleasant, slow-paced experience, which we often combine with brunch, lunch, and afternoon coffees. Explore the Back Streets of Bodrum Town Centre: Strolling through the narrow back streets running parallel to the sea throws up a host of small, quirky, shops, and clothing boutiques with unique items for the one-of-a-kind look. On our last visit, we stumbled upon a small bookstore containing old titles that have been on our reading list for quite a while. In a small side-street boutique, a local woman sold beautiful tunic tops for summer that we haven’t seen elsewhere. Another shop sold handmade Bodrum sandals that would make the perfect souvenir for someone back home. The old town is more of a slow-paced shopping experience ideally combined with refreshments in between. We ended the day with ice-cold beers in the Belediye café that also has a marvellous view of the castle. Weekly Markets: A must-do experience for every holidaymaker to Turkey is the weekly market. If you are self-catering, go there for the fruit and vegetables, but some markets also sell souvenirs, and clothes. The weekly Turkish markets are more of a cultural experience at the heart of all Turkish communities, rather than a shopping expedition. Our favourite is Yalikavak on a Thursday, simply because of the mass choice. To complete the cultural aspect, we also snack on Gozleme, the traditional Turkish market food and drink Ayran, a mixture of water, yoghurt, and salt that is surprisingly refreshing in the summer. 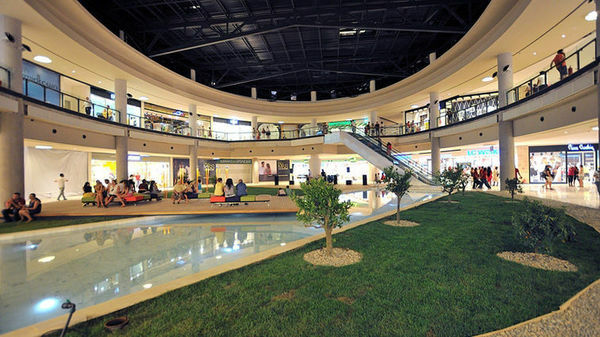 Bodrum Midtown Shopping Mall: In the Ortakent district of Bodrum, the super smart and immensely clean Midtown Centre has two floors with a variety of shopping options for home, clothes, books, shoes, children, electronics and much more. We usually combine our trips with lunch in one of the famous eateries including Chinese Inn, Subway, and Starbucks or Burger King. Although summer is a busy time, during winter, the crowds are sparse, leaving us to shop leisurely at our own pace. It also has an English Home, and a Marks and Spencer store, which is why we like it so much. Oasis Centre: Alternatively, for another shopping experience where everything is under one roof, Bodrum Oasis also steps up to the mark. Sitting on the Sehitleri Caddesi, and including well-known Western brands such as Nike, Adidas, Mothercare, and Gap, you can also browse through Turkish brand name stores such as Koton and LC Waikiki. Oasis also hosts a cinema, sports club, ten pin blowing as well as an amazing seventeen different places to eat, and these all help if you have kids that don’t like shopping. Ikea Bodrum : We now have Ikea in Bodrum. Those lovers of Ikea they no longer need to jaunt all the way to Izmir now. The location for Ikea in Bodrum is in Konacik. 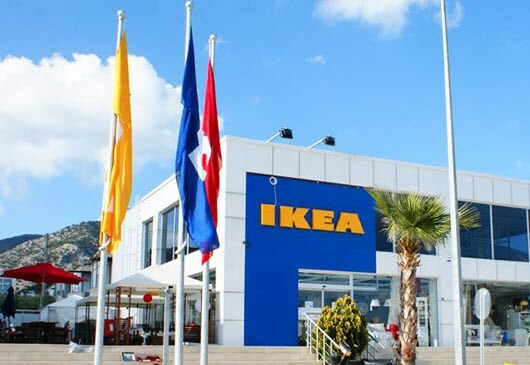 Actual branch of Ikea in Bodrum is for Ordering and Shipping location, another words it is not the showroom as such where you can go and browse. What you do is, Ikea Bodrum welcomes you to the online world. Basically you order online and come and pick at Konacik store or alternatively if you exceed certain amount they deliver to your door step. Opening hours are daily from 10 am to 8pm and located close to Koctas and Metro shops. Probably practical solution for those wanting to do all their goods shopping in one place. 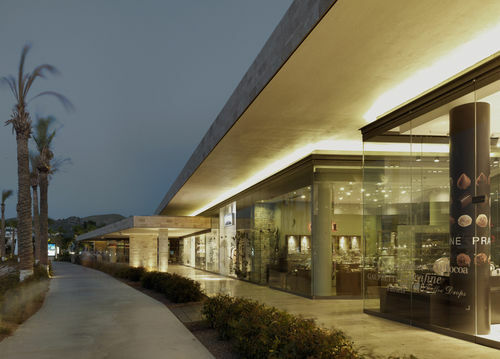 Yalikavak Marina: When we want to shop upmarket, Yalikavak Marina is our chosen destination. Officially called Palmarina, this state of the art establishment on the Turkish Riviera, is the only one in Turkey to host mega yachts, so that should give an idea as to the expensive shops and the clients that splash the cash in them. It has an exclusive member only Billionaire Club and heliport, but our budget doesn’t stretch that far, so we stick to the shops including Armani, Capri Touch, and Vakko Mare that sells more than 20 brands of high-end western designers all under one roof. What we like most about Palmarina though is indulging in a good quality meal after our shopping spree. The most famous of them all is Nusr-Et Steakhouse. The owner shot to fame in January 2017 as the Salt Bae chef who dramatically sprinkled seasoning on his steak. Having opened numerous branches around Turkey, he is also opening one up in London and has even personally served Leonardo DiCaprio, so that should give testament as to the quality of his restaurants. Alternatively, if a slap up steak meal is too heavy on the stomach, Sait Seafood is another restaurant attracting high-end clientele. Our recommendation is to extend your visit to Yalikavak and stay overnight so you can visit other places to shop, eat, and relax. Also read our blog about Things to do in Yalikavak.